The “way” the poet speaks of is not just a pathway, not just a direction, indeed it is a way of functioning. The eagle flies naturally. The snake’s slither is an instinct. We know that Christ is the way, but unfortunately for us, choosing Christ is not instinctual. 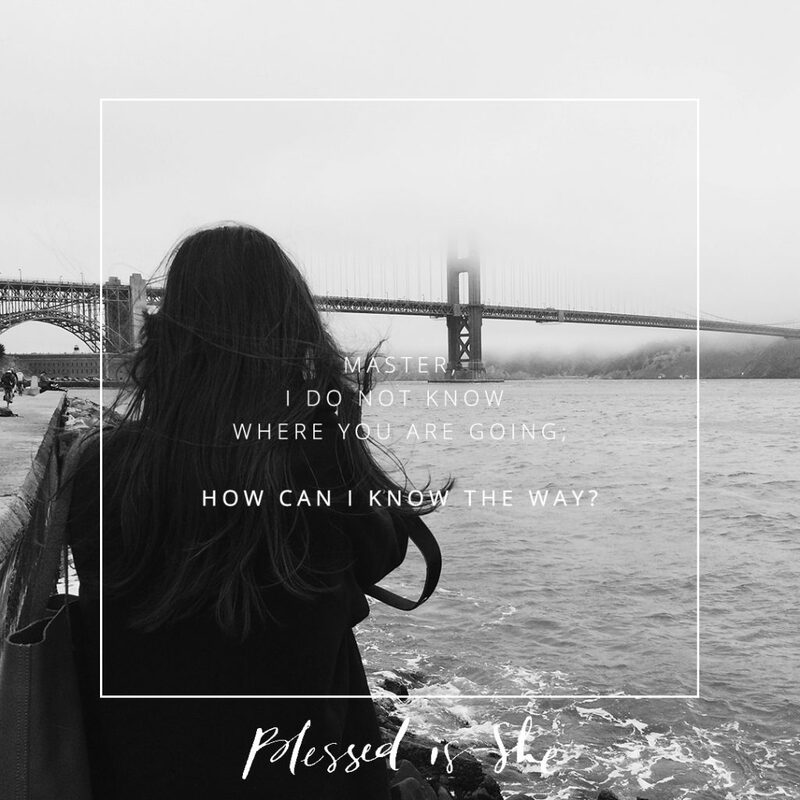 Master, we do not know where you are going; how can we know the way? Kate Rhodes is the wife of a lanky carpenter and mother to three littles. She used to teach English, but then she joined the ranks of SAHMs. You can find out more about her here. Next Post An Instrument of Salvation, How?